Home > Finance & Grants > Will a Loft Conversion Add Value to Your Property? How Much Value Will It Add? There is no doubt that a loft conversion will add thousands of pounds to your property value, but how much it increases the value of your home will be down to how you carry out the loft conversion. On average a loft conversion will add around £15,000 to your property value, if it is done correctly. Simply putting some fold down ladders in your loft and insulating the walls will not unfortunately add anything to your properties value. You will need to make sure the room is classed as a room in its own right for it to increase your property value. The valuer will be the one who decides the additional value of your house, so it is worth knowing what they are looking for. The first thing your loft will need to have in order for it to add property value is a stable staircase leading up to the loft. The staircase will need to be part of the house and will not be allowed to be temporary if you want the loft conversion to be viewed as an additional room. You will also need to make sure the walls in the loft are structurally sound and form part of your property. They will need to be permanent walls and built into the property. You will also need to make sure that the room is fully functional and you have electricity and electrical sockets in the loft. It doesn’t matter if your loft extension is not furnished, in fact this could even work in your benefit, but you need to show that it can function as a bedroom or whatever the new occupier intends. When Will The Value Be Added? Converting your loft will not be a quick fix to add to your property value if you are looking to sell. Loft conversions should be seen as an investment. 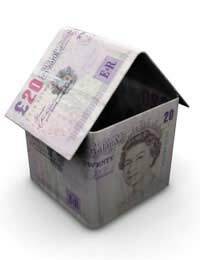 It may cost you £12,000 to convert your loft and if you were to outand put your house up for sale straight away this is probably only how much you would get in return. If you are carrying out your loft conversion to make money you will need to wait at least five years before you start to see any return on your investment. How much you make on your loft extension will also depend on how much you spent on it in the first place. If you had to extend the loft or spent thousands on structural work your return will be lower. You will need to find the right balance in terms of how much you spend on the conversion in relation to what return your will get in return. If you are building the home extension for the sole purpose of increasing the value of your property, you may want to seek the advice of a structural engineer who will be able to asses your property and what you can do to make sure you will get the maximum benefit from your loft conversion and home extension.